Which is why a young clutch of industrial designers has found new inspiration in the 90-year-old tradition. Giving a collective wink to its golden-age proponents like Dali, Magritte and Tanguy, while creating things that are entirely original and contemporary. True, there is nothing practical (or even remotely desirable) about having certain surrealist obsessions in the home — clocks that pool like mercury, doors to nowhere and hair-covered cutlery included. But with a bit of well-placed wit, even the most prosaic things, like coat hooks and light bulbs, feel fresh. Here, five of the most brain-twistingly cool. Holland-based designer Sebastian Brajkovic updates traditional furniture for the Photoshop age. His Lathe Chair VII blends an early 19th-century aesthetic with the twists and skews made effortless by computer imaging. 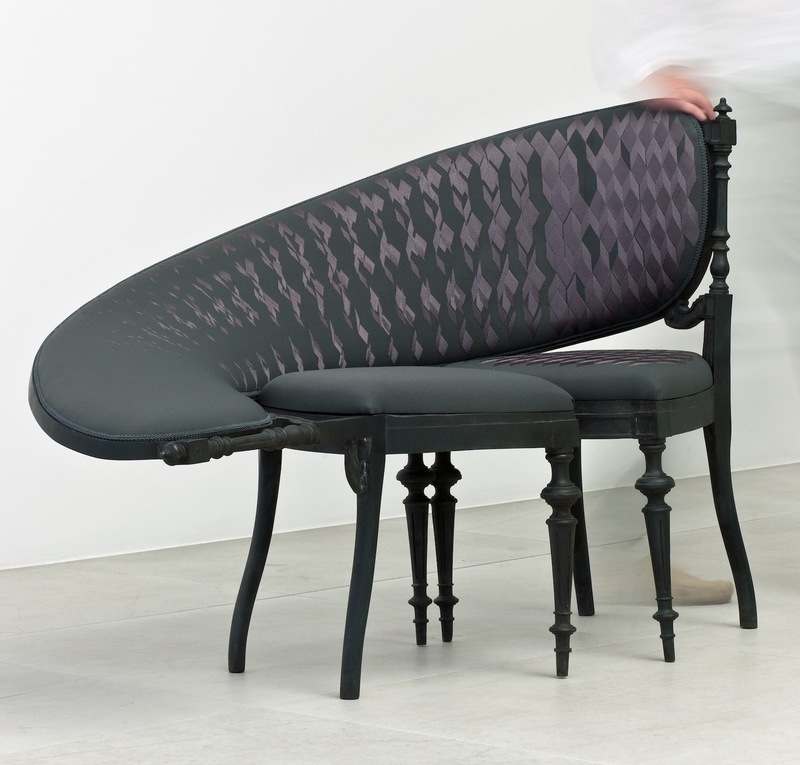 The fabrication is equally anachronistic – the upholstery looks like it was created by a broken Xerox machine, but is actually done with traditional embroidery. Through sebastianbrajkovic.com. By its very name, Fratelli Boffi’s new collection, F* the Classics, is unquestionably irreverent. 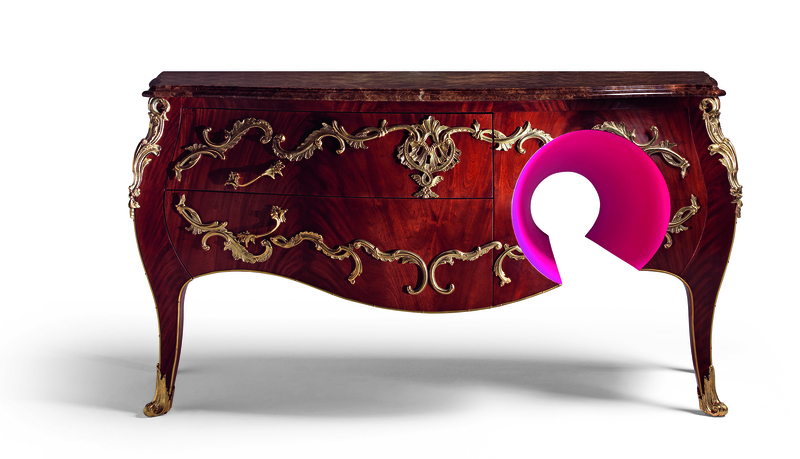 W(hole), with its gilt frills and high-gloss finish, would be a fairly faithful reconstruction of a Louis XV chest. That is, without the disconcertingly vibrant, fuchsia aperture, which looks like the handiwork of a mutant termite. Through fratelliboffi.it. Under normal circumstances, a light bulb encircled by insects would be a reminder to keep the window screens closed. 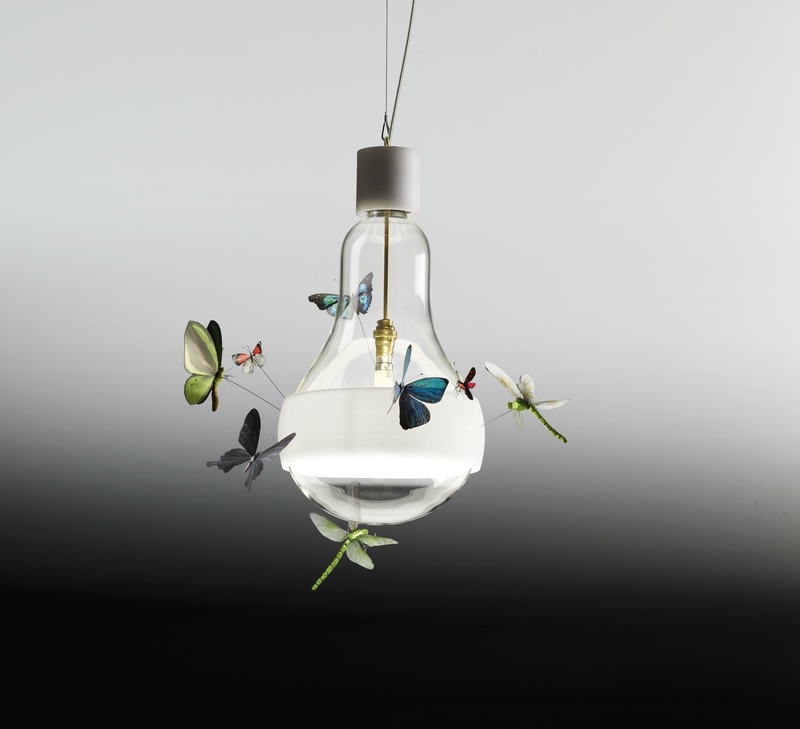 Munich’s Ingo Maurer has made the image delightful with his handmade, brightly coloured moths and dragonflies. Through ingo-maurer.com. 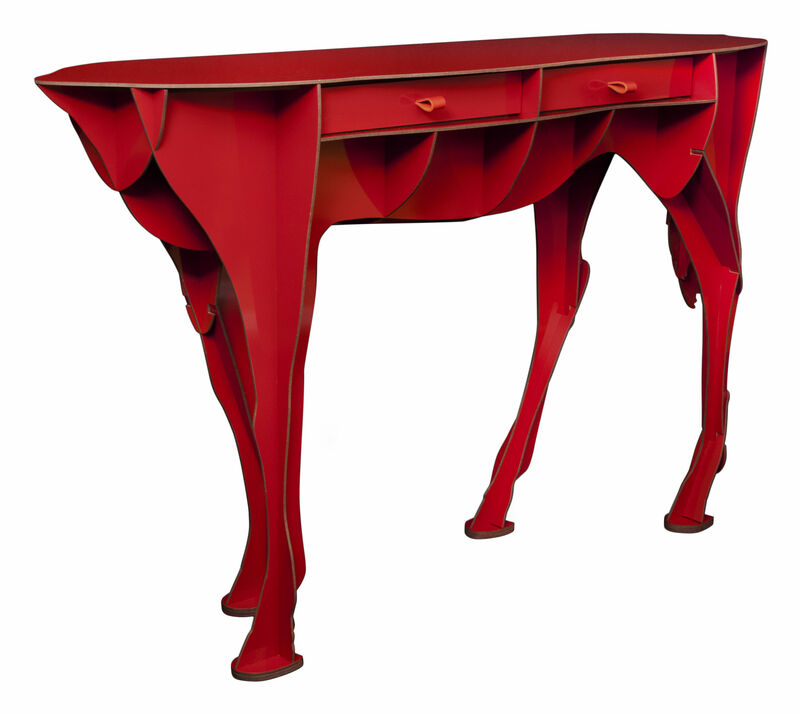 IBride’s Elisée console, designed by France’s Benoît Convers, is part Dali, part Bedknobs and Broomsticks (the poppy red finish and bushy tale make it cute, but there’s still something disturbing about a horse its missing its head). Through ibride.fr. 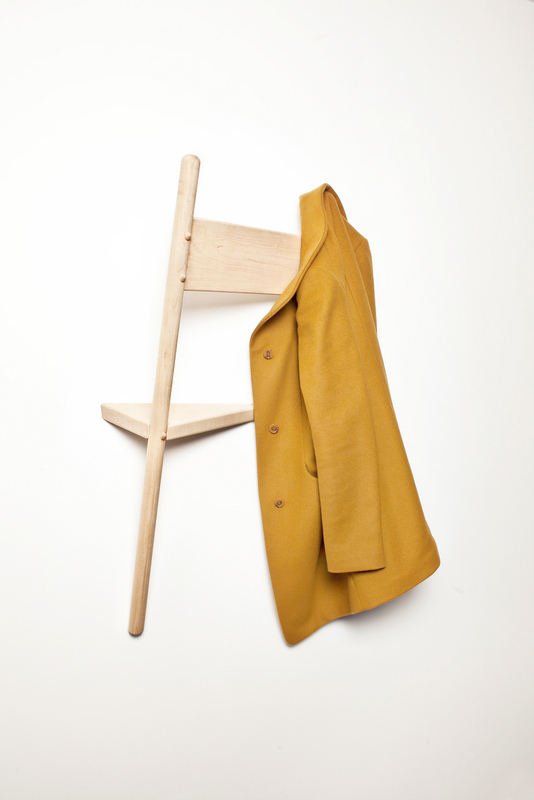 With his Wallhax coat hook (named for the video-game manoeuvre of walking through walls), Nova Scotia’s Geof Ramsay riffs on our lazy tendency to toss a jacket over the back of a kitchen chair, rather than hanging it up properly. Hidden wall fasteners help achieve the ghostly illusion. Available through geoframsay.com. This piece originally appeared in the Globe and Mail on Thursday, February 7, 2013. This entry was posted in Design Spy and tagged Benoît Convers, Canadian Design, Decor, Design, Fratelli Boffi, Furniture, Geof Ramsay, Home Decor, IBride, Ingo Maurer, Louis XV, Sebastian Brajkovic, Surreal, Surrealism, The Globe and Mail by mmhague. Bookmark the permalink.